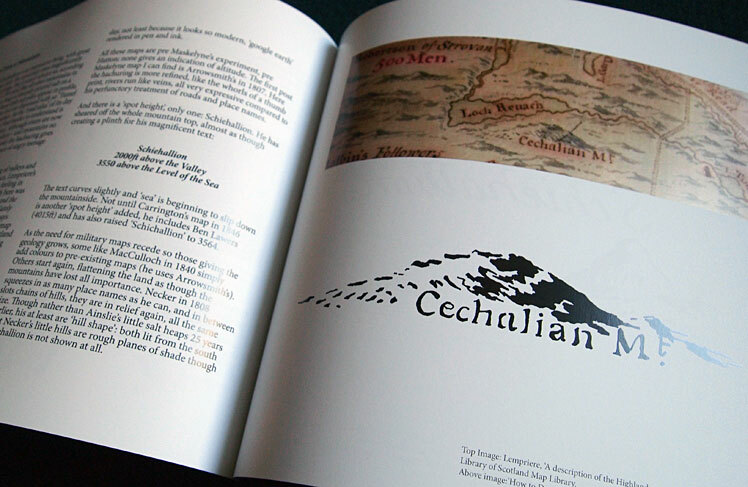 Most of my artwork is the result of residencies and thus created in response to a specific location. Between residencies I have played with more abstract notions of space: what creates the feeling of ‘interior’ or ‘exterior’ when walls are not present. 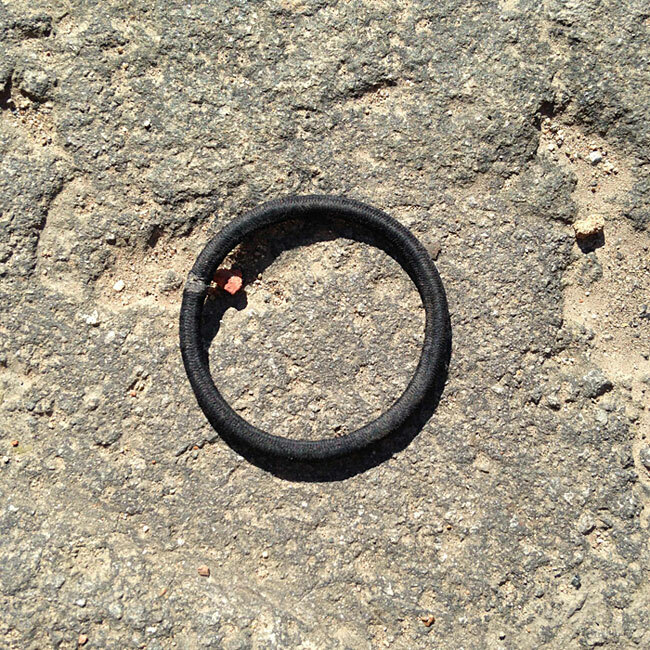 Another pre-occupation has been voids and vessel shapes – what signifies ‘empty’ when there is always something there? More lately research into place and space has developed a broader frame-work, unifying attributes of place both rural and urban (street furniture and detritus). 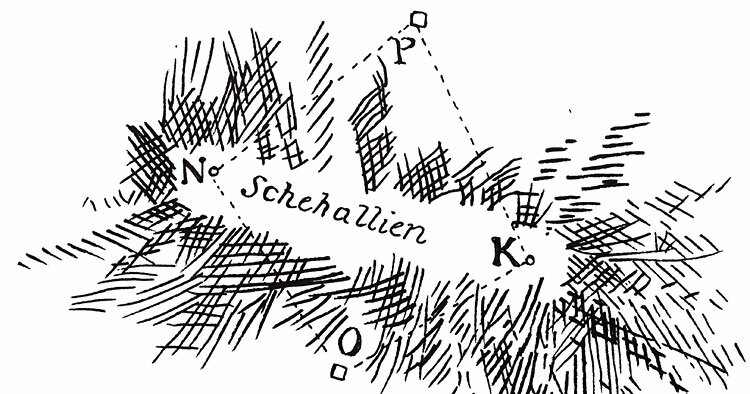 And all abiding now is the history of a drawing convention in relation to place (the depiction of elevation on maps). 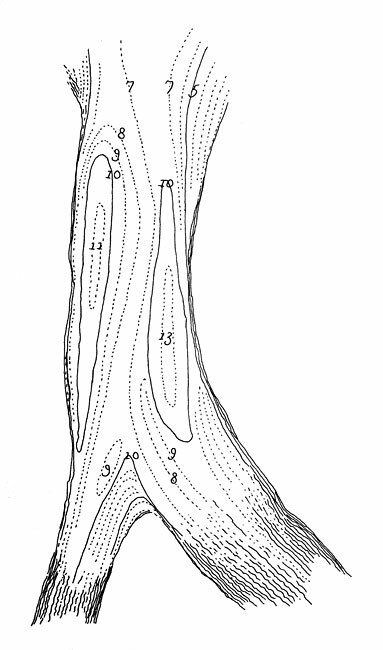 Since first hearing of Newcastle born Charles Hutton in 2014, I have been chasing the history of the invention of contour lines. 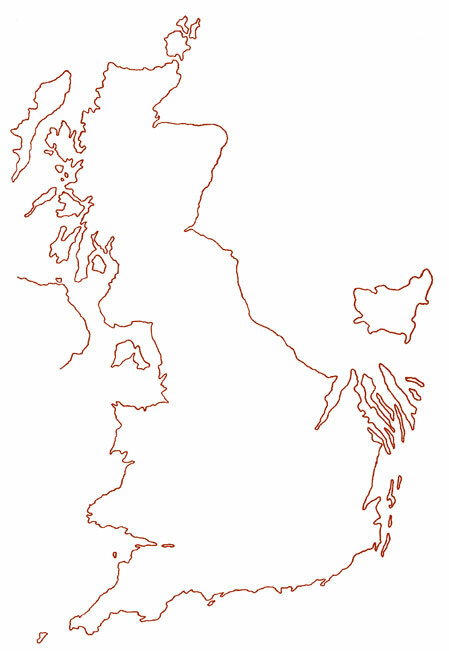 The project has involved research (in England, Scotland & the Netherlands), writing (a blog & publication) and speaking (GeoConnect, London; British Cartographic Society, Durham; CSoP Research Group, Newcastle University; Pitlochry Festival Theatre & Charles Close Society, Cambridge University Library). 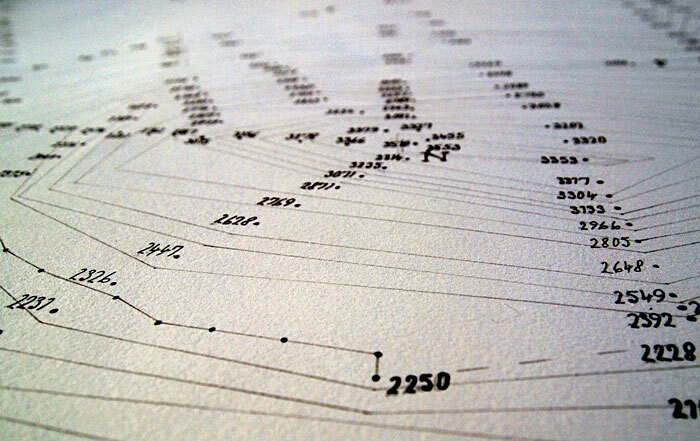 The exhibition material consists of a 4ft x 4ft ‘replica’ of Charles Hutton’s (missing) first contour map, two contour models based on the scale of the missing map plus three drawing series of related material. Some of the drawings are available in limited editions (please use the contact page to enquire for details or, to order copies of the publication). 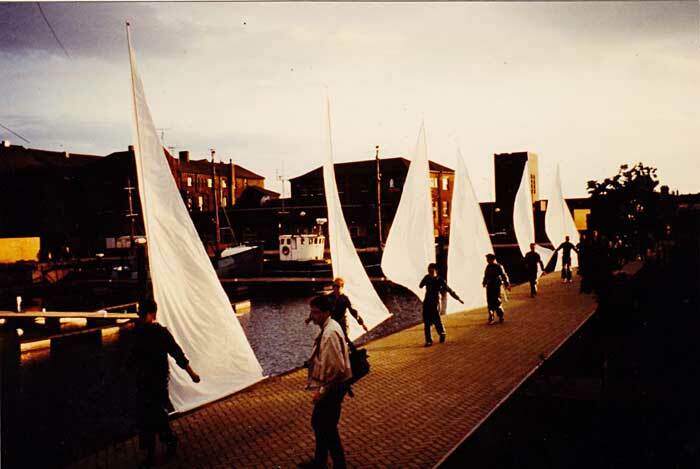 The project was funded by Arts Council England (ACE), Visual Art in Rural Communities (VARC) and most recently by Creative Scotland as the Lines of Attraction Festival. Changing Tack is the re-working of a walking performance created 30 years ago. 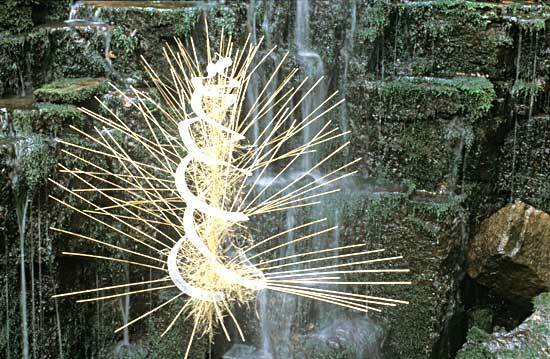 Using the original ‘sails’, this iteration was conceived for footbridges over rivers, thus exploring the relational within site-specificity. In March 2017 it was premiered in Hull (as part of Hull Time Based Arts’ ‘ReRooted’ Festival for Hull City of Culture). 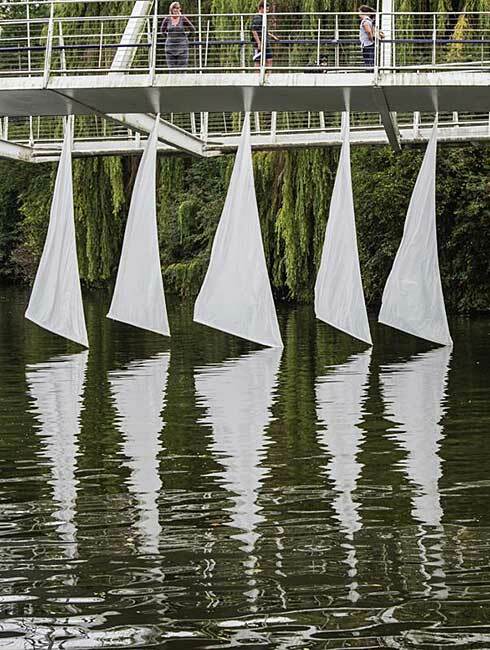 A second performance took place on the Cam in Cambridge in August that year. 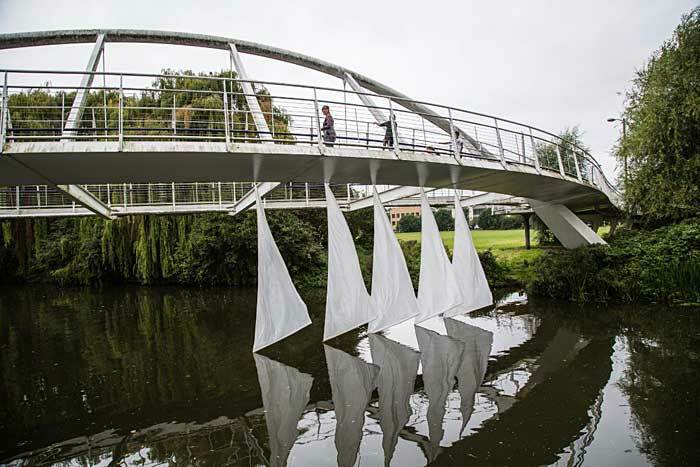 The five sails are animated by water flow and wind creating continual ephemeral drawn line and shape. A second iteration of Changing Tack is a re-working of the re-working. 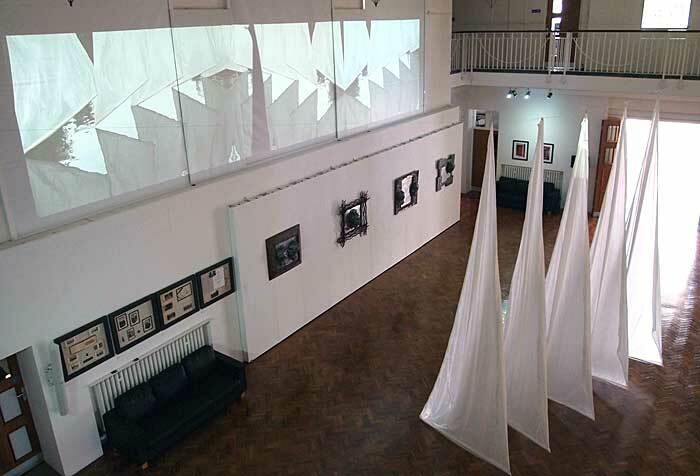 Here I used the original sails within a gallery setting which emphasised their ‘out-size’ presence. 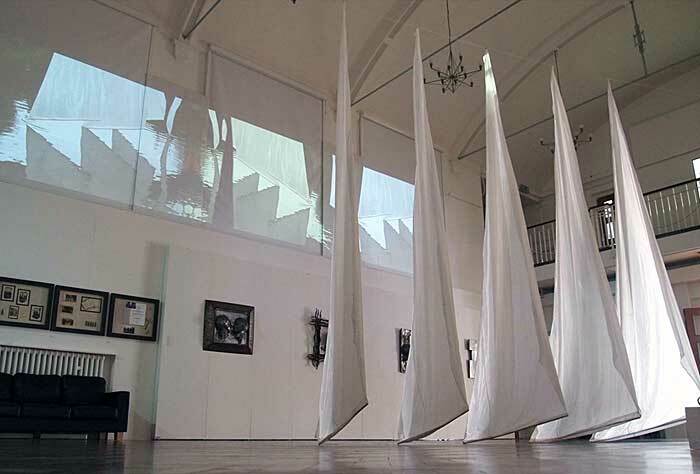 They were minimally activated: pivoting through small breezes created by people moving within their proximity, (this formed the end exhibition of my Masters degree). 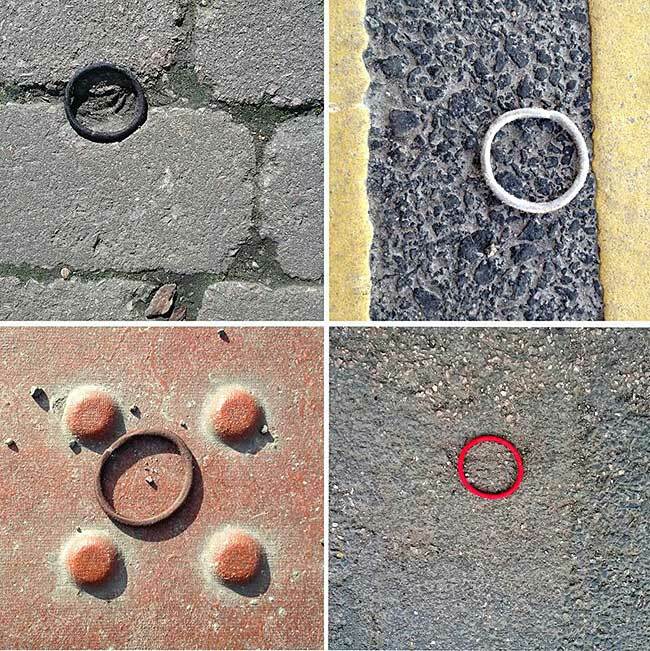 This was an exploration of the over-looked, on our streets, under our feet. 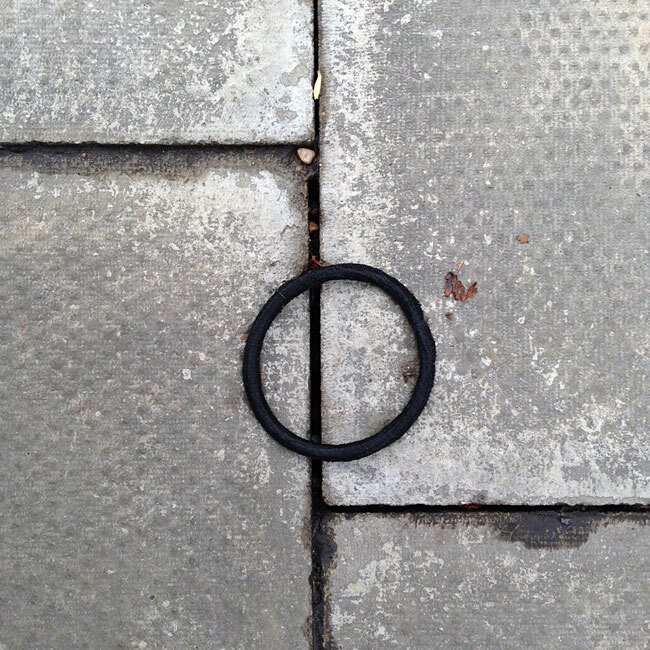 Hair-bands on pavement are now ubiquitous: detritus as punctuation, they can be read as ‘full stop’ and as ‘zero’ (something as nothing). 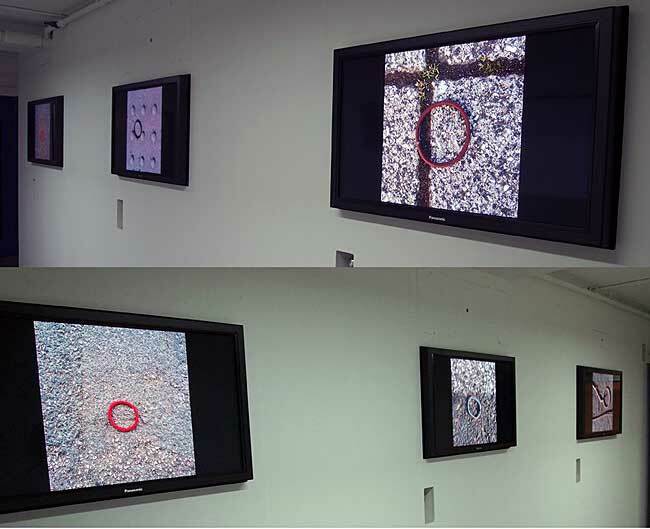 The photographs within each animated sequence depict a hair-band as seen and noted in situ and documented. 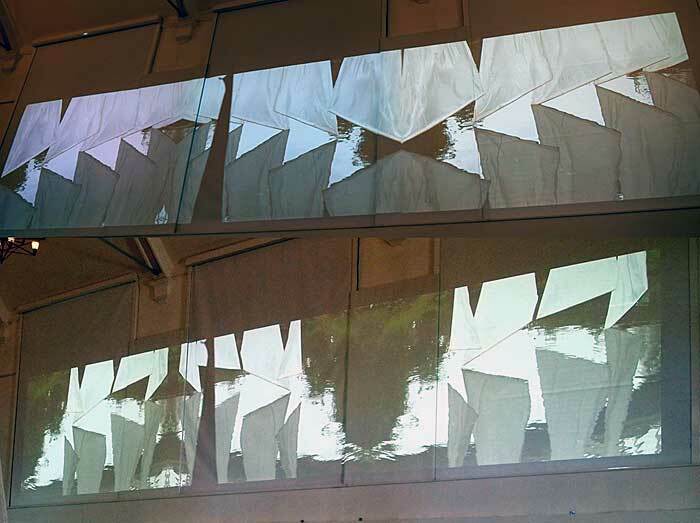 For this solo show (as part of the MA) the images were shown looped (continually playing) across 7 screens, in a corridor gallery, necessitating a walk to view all. On moving to my present studio I noticed valve, hydrant and sewer covers in the vicinity bore the names of foundries from districts nearby. 'Digging' into their provenance, they began to shed light on the history of their arrival - and the effect on our lives – wiping out cholera epidemics for example. Through these 'collages' I have begun an exploration of location through 'hidden' networks, how they connect us, though over the course of the last century we no longer see it - nor physically carry water into our homes. Our ignorance of their provenance, routes and dispersal is unveiled only when they fail (through power-cuts or flood). 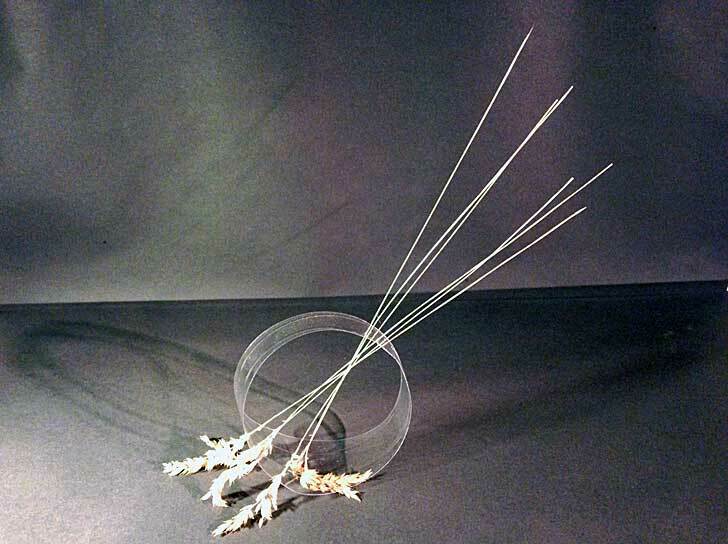 Most of my work is based around an exploration of space. 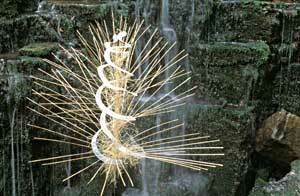 For years I have been creating installations with defined interiors and exteriors but without doors or walls. Many of these pieces were ‘vessel shaped’ but lacking the capacity to cup or hold anything aside from interior space. 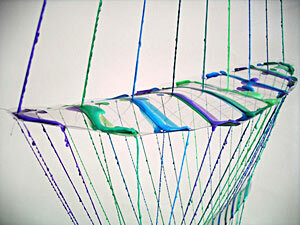 Dream Boat is such a vessel, made from sheet PVC plastic, fishing-line and fishing weights, the form is made visible by dripping a pva/ink based mixture down the lines. 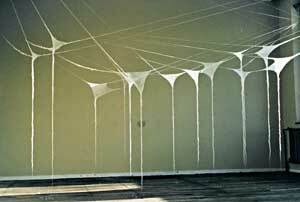 I am interested in how drips - when allowed to accumulate - slowly give form (substance) to a line. Entering this installation, the visitor steps into a hugely magnified depiction of an event occurring all around them in the meadow. 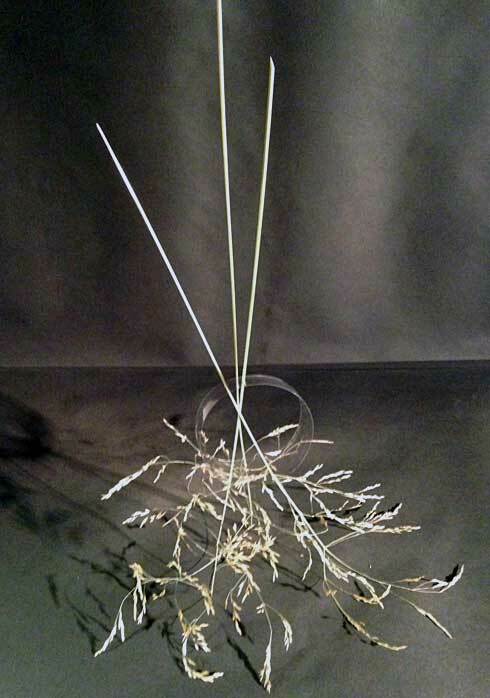 The forms seen hovering above the grasses represent the dispersion of cells on the growing tip of a plant. 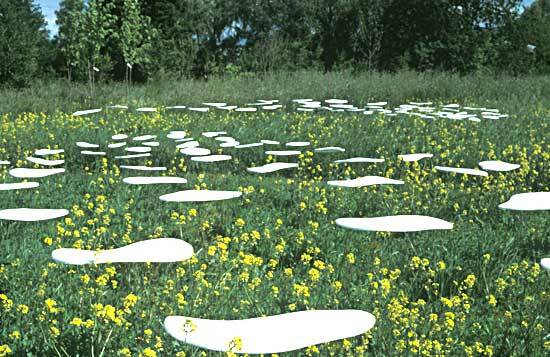 The installation was created by mounting polyethylene foam sheet on steel rods which allowed the cell shapes to move and sway with the meadow grasses. 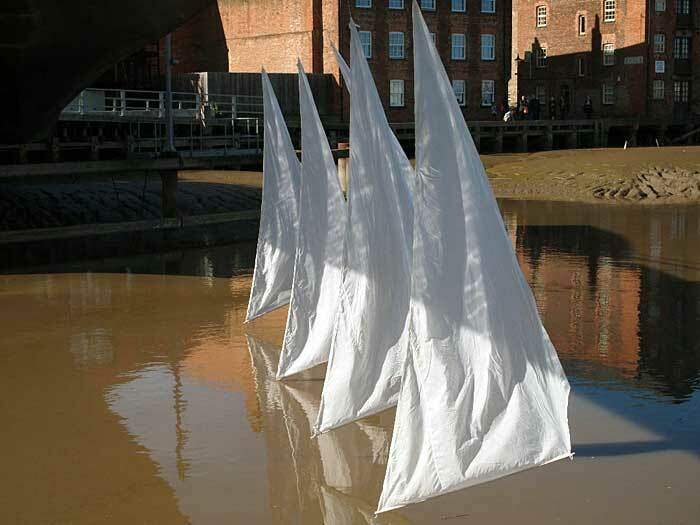 This installation was commissioned as part of Liverpool's Capital of Culture bid and was part of a festival aimed at raising environmental awareness. 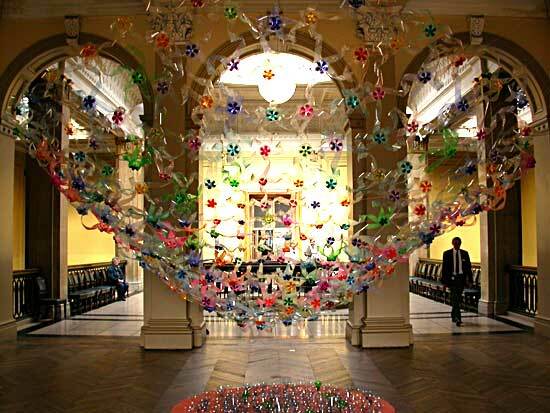 Plasticity was created from hundreds of plastic bottles collected by school children. 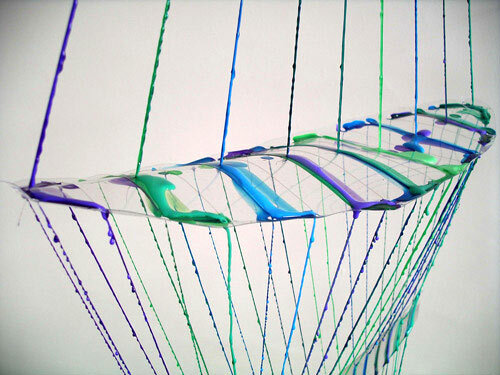 The form was inspired by algal blooms, a phenomenon caused by algae feeding on pollution in water; the blooms - whilst beautiful looking - can grow so large that they eventually starve other life forms of oxygen. 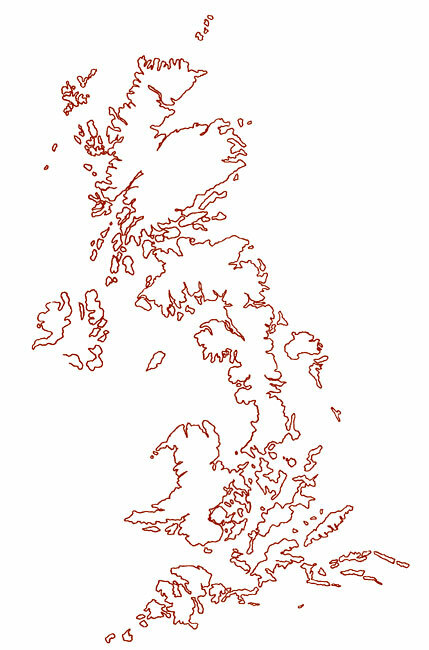 This residency was based in very high open moorland. 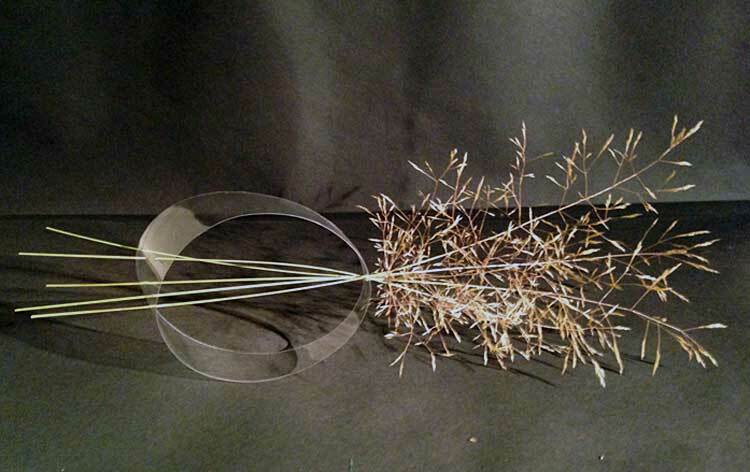 The Spirality series was the result of collecting local grasses and studying algae growing in the bog pools. 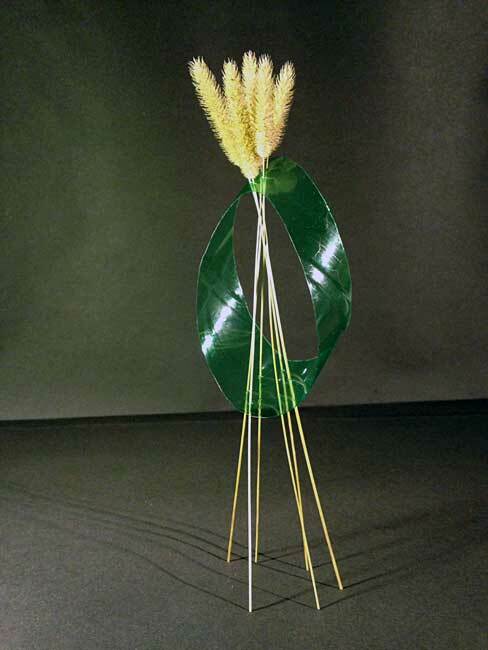 The grasses were used in combination with PVC to create sculptural forms that suggest or recall cell structure, single celled protozoa, and spiral forms found in nature. The dividing of surface area and space using: cuts, tears and stitches became the focus of a series of artworks made whilst living in Bochum, Germany. 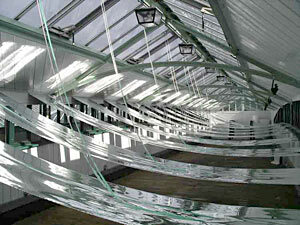 All the materials used had a visible weave that appears transparent in certain lights, thus creating ‘space-grids’. 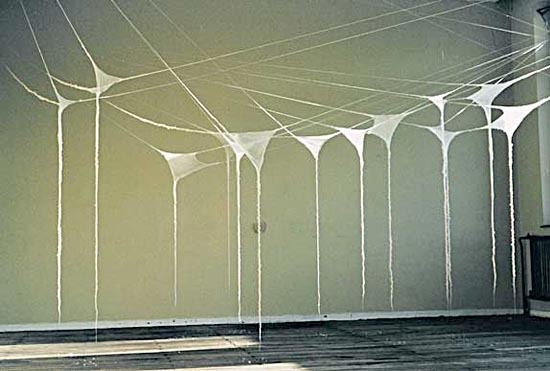 The aim was to explore the dividing line between presence and absence. The performance site was the side of a ten storey housing block in a town originally called Stalin Town, which was built in the fifties to house the workers for a new steel mill. 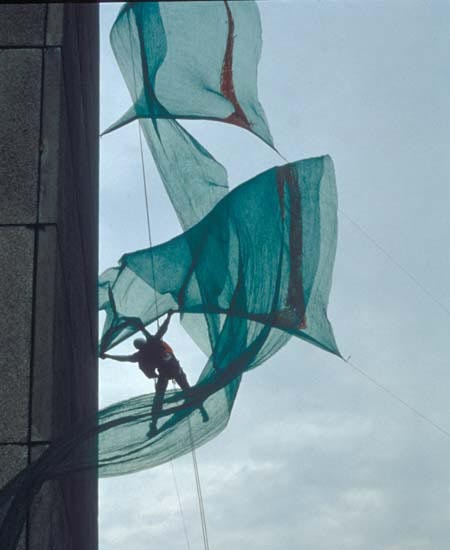 This 'vertical dance' - executed by Ernst Süss - was about giving wings to disused and unloved buildings. A sister piece was created for the side of a disused Hotel in Budapest. 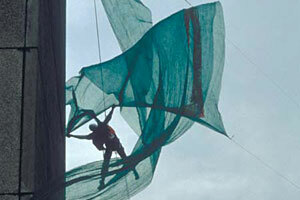 The scaffolding netting used symbolises that a building is about to be transformed, to be 'made better'. 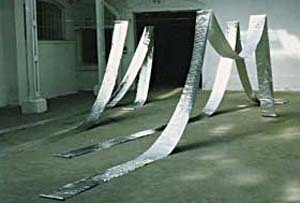 The gallery is situated in a disused factory; the installations were each created for specific areas within the gallery. 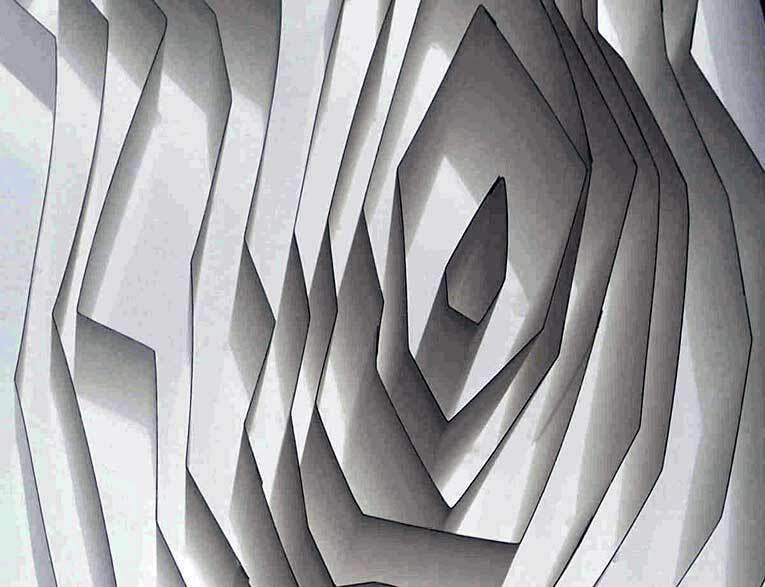 Each installation utilised some form of packaging material, though devoid of content, so that the focus was on sensual surfaces. 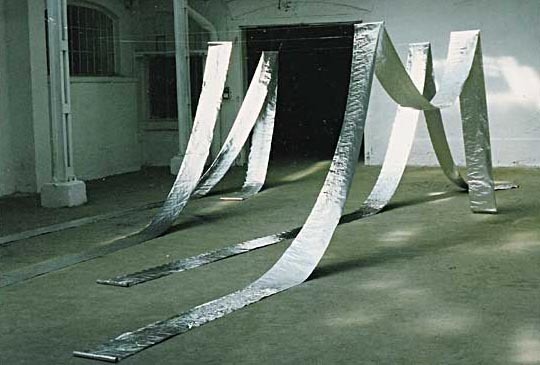 The main hall has a partially glazed roof; the diffused natural light permeating this space was used to expose the machine-repetitive indentation on rolls of aluminium foil. For this show three installations were made with definite interiors and exteriors but no walls, doors or windows. 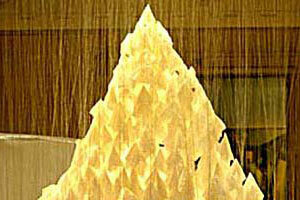 Spectators were encouraged to walk inside and touch them, thus providing a performance element for other onlookers. 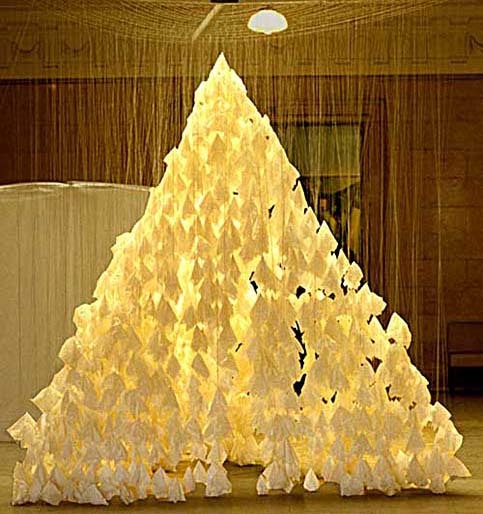 In common with other pieces, this uses cheap and familiar, user-friendly, materials; this one being made from 3000 paper tissues.